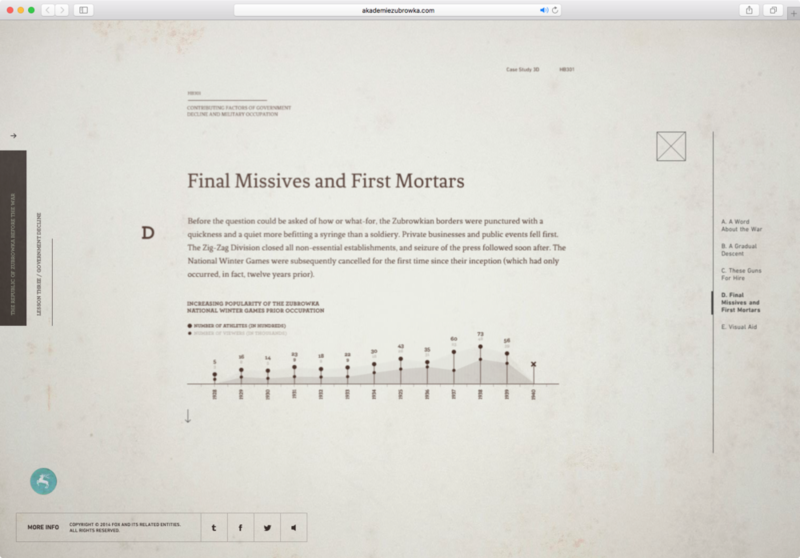 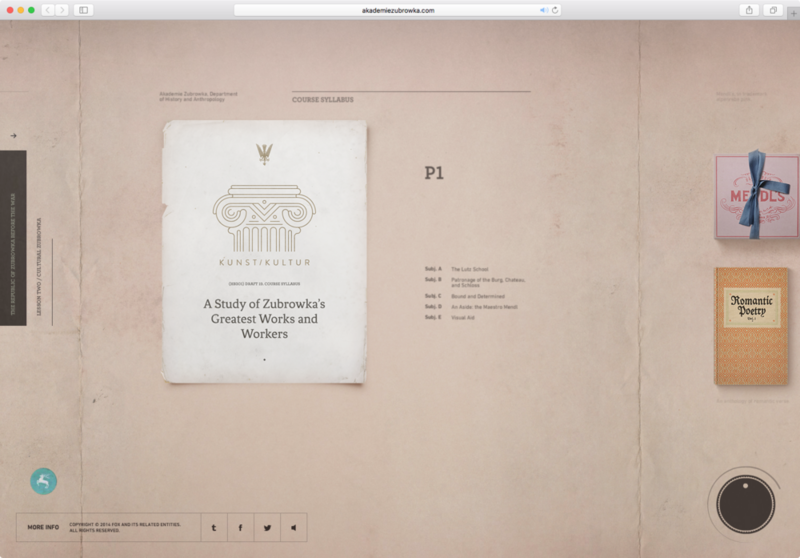 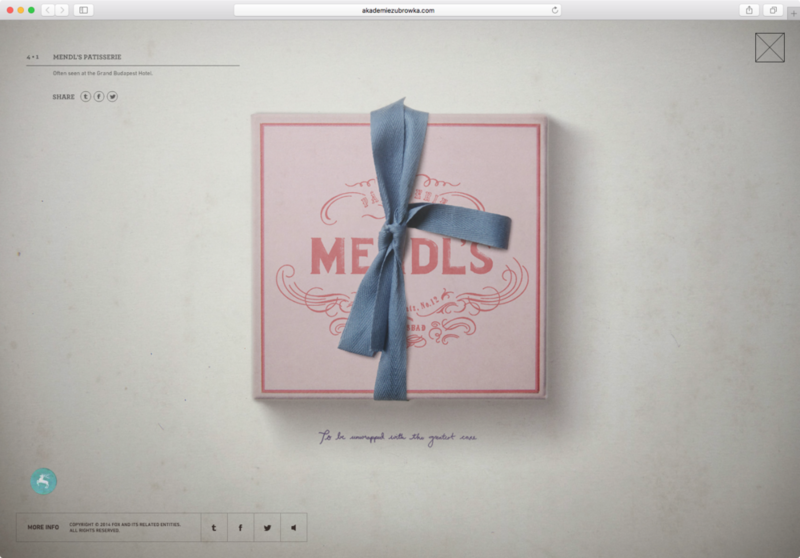 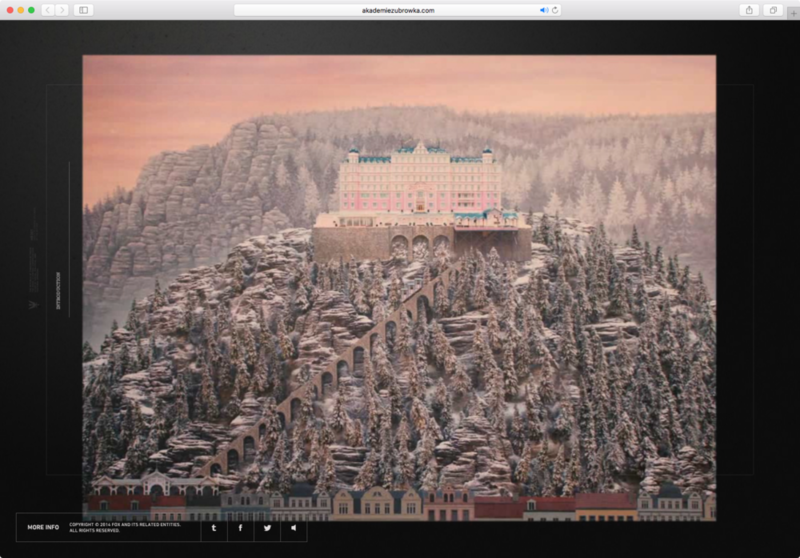 Watson Design Group designed this website for the film, Grand Budapest Hotel. 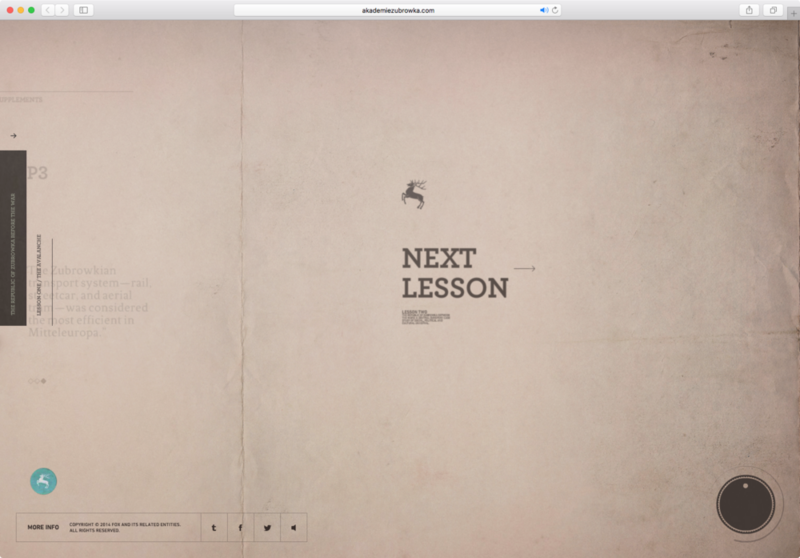 This is a Flash website, so you'll have to figure out how to enable it on your browser. 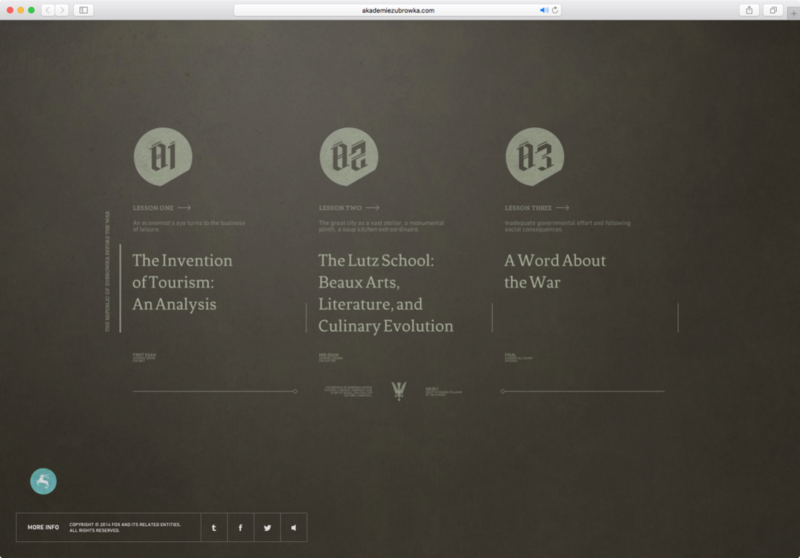 or view the project on watsondg.com.